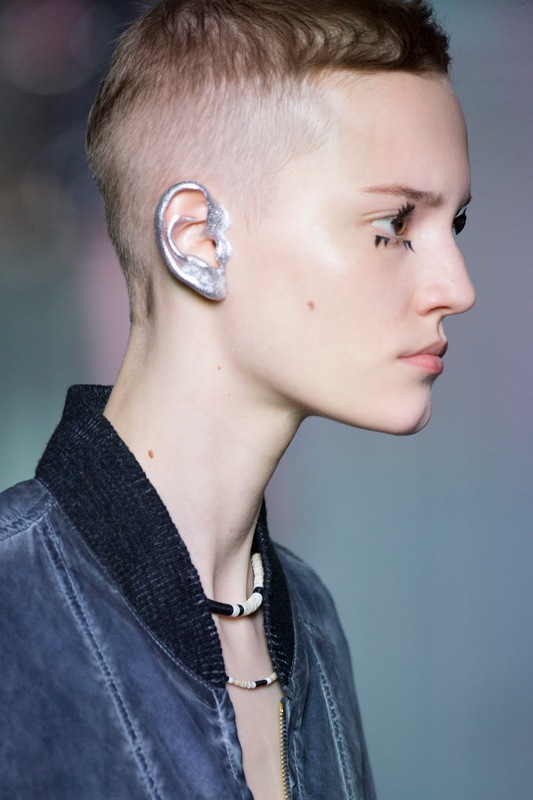 Im in love with the Make up look from the last Louis Vuitton SS 16 show in Paris ! 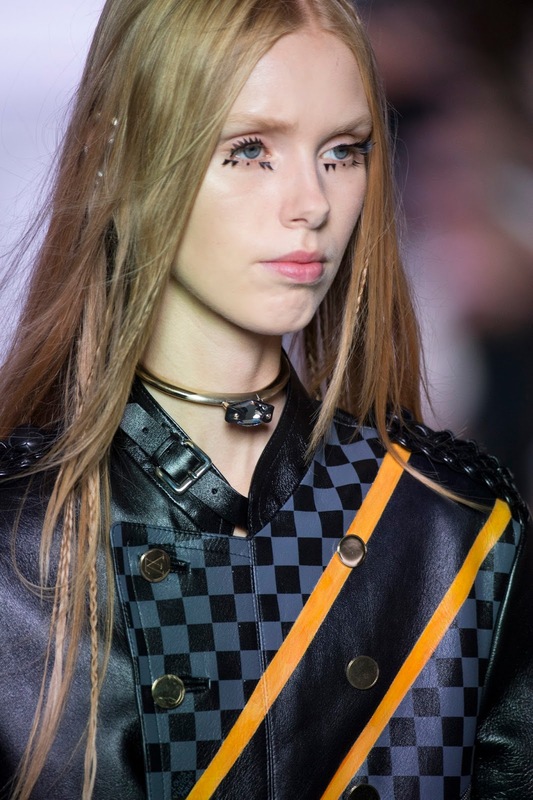 I mean look at the eyes it looks so cool , fresh and not tooo much for a day look like a lot of other looks from some shows . It looks so "rocknroll" and cute at the same time . a little gloss for you lips or maybe a bit labello on cold or summer days . 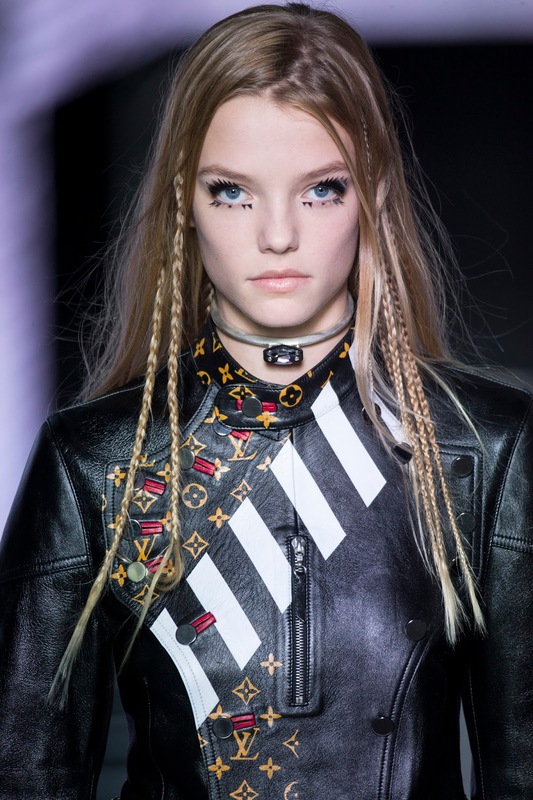 You should wear a black leather jacket of course too and the look with the inspo from the louis Vuitton show is perfect for 2016!